I started blogging in September of 2013. I was just like any other person in that I was working in an office trying to make use of my college degree. My plan was simple. Get jobs in the Marketing field of which I received my degree in and gradually work my way up the corporate ladder (pretty standard for a college grad). I really had no intentions of doing anything else. Then came blogging. 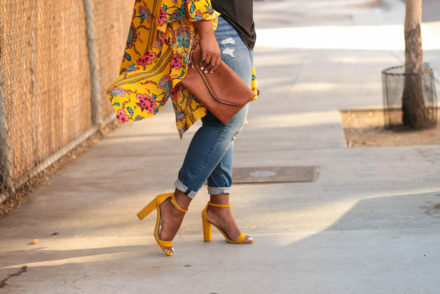 Social media really opened my eyes to other like-minded women who were plus size yet still loved fashion. It was such an exciting time to discover these bloggers, fashionistas and activists of whom I had no knowledge of prior to. Up until then, the only available resources were the media, which we know was nonexistent for plus size women, and my own environment. Needless to say that I was inspired! For most of my adolescence and throughout high school, I was “plus size” in that I was bigger than the majority of my friends. Contrary to popular belief though, I was not really insecure about it. Of course, every teenage girl has her fair share of insecurities but I did not let my body hold me back. I played sports, dated, was very social and was even nominated by my peers for Homecoming queen in high school. I loved shopping with my friends even though sometimes my size just wasn’t there. Fortunately, I had a very supportive upbringing that really made weight a non-issue. 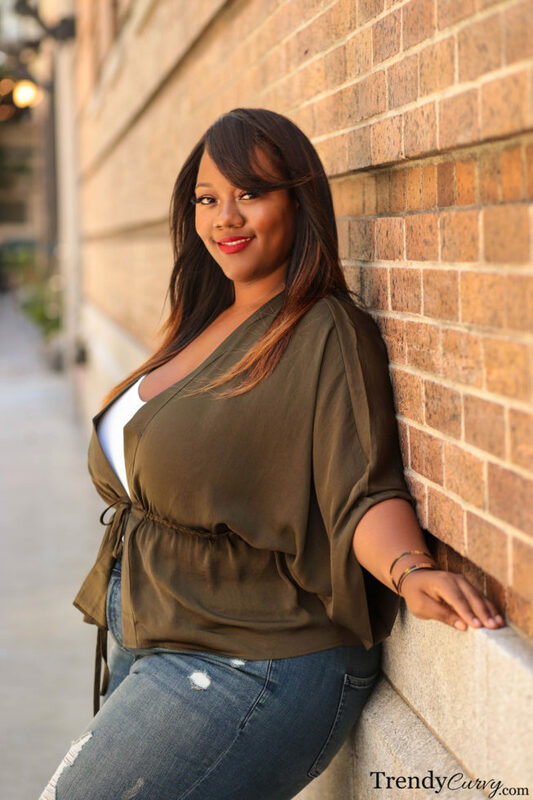 Much of the media story lines surrounding bigger girls include her being insecure, unpopular, unfashionable, etc. and I just could never relate. So when I finally was introduced to blogging, I had found a community that I never knew existed but always knew I belonged in. I was still very hesitant to start my own blog though, but with the encouragement (and push) of my loved ones, TrendyCurvy was born. The rest is history. I began to receive confirmation that this was my true path from countless women of whom I’ve inspired. It’s really a ripple effect from being inspired to now inspiring and beyond. This is what I was meant to do and this is my perfect fit. When something fits you, you feel most confident and secure. That goes for your career path, relationships and of course clothing. I am constantly harping about making sure your clothes fit your body. It’s not about measurements or the number on the label but it’s about how it makes you feel. You know when something is a perfect fit for you. Last month, I announced that Express extended their sizing up to a size 18 in store as well as online. It’s always exciting when brands strive to service a wider range of bodies. 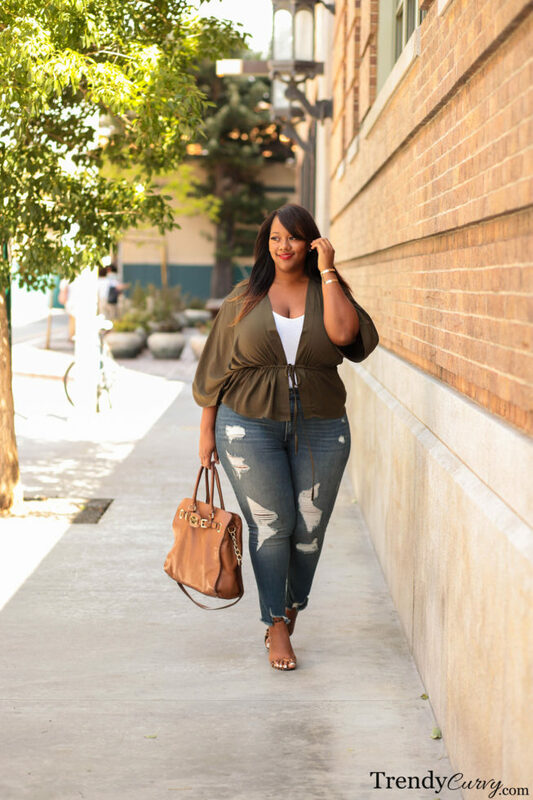 While not a complete plus size extension, it’s still very much plus friendly and I was very curious to try their denim. I am a true size 18 so I was nervous about whether or not their denim would fit me. That’s typically a key factor for size extensions is how their denim follows suit. I am so pleased to say that their denim not only fit but fit well! They have stretch so they just conformed around my every curve. Finding the perfect fit in your career, love life and even a pair of denim can be a liberating experience. What you remember most is how you felt as though it was made just for you and that is priceless. Be sure to shop Express’ extended sizing and check out below for some other denim favorites of mine! I am so happy you posted this. Was sooo excited to hear they were extending their sizes. 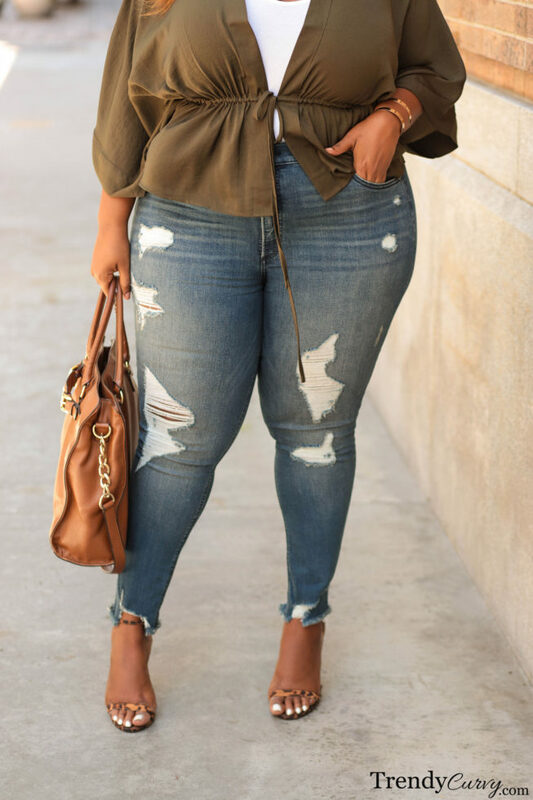 These jeans look great and I’m going to try a pair. Keep up the great work! I love the style jeans you have on. I ordered a pair of the high wait dark skinny. I think the other styles are sold out. I can’t wait for them to come so I can try them. Love the outfit when you anounced that express carry plus size i was so excited that i decided to go to store when i was there the worker was so rude i ask her if they had plus size and she told me no only online but she was making a bad face and rolling her eyes so i told her ok i check it out online and walk out..
That is so disappointing to hear and I’m sorry that you had that experience. I don’t believe all stores have the extended sizes but they are definitely in stores as well as online. I am pleased with your story. I like it so much. You are engaged to stay a competent woman in your fashion model. You like it that is awesome. You are gorgeous. Congratulation and thank you.